Growing up this was one of my favorite dishes my mother made. The best part about this dish, it doesn’t have to be breakfast time. I have to admit, when I make Garlic Fried Potatoes, I purposely make too much just so I can make myself a tortilla the next day. 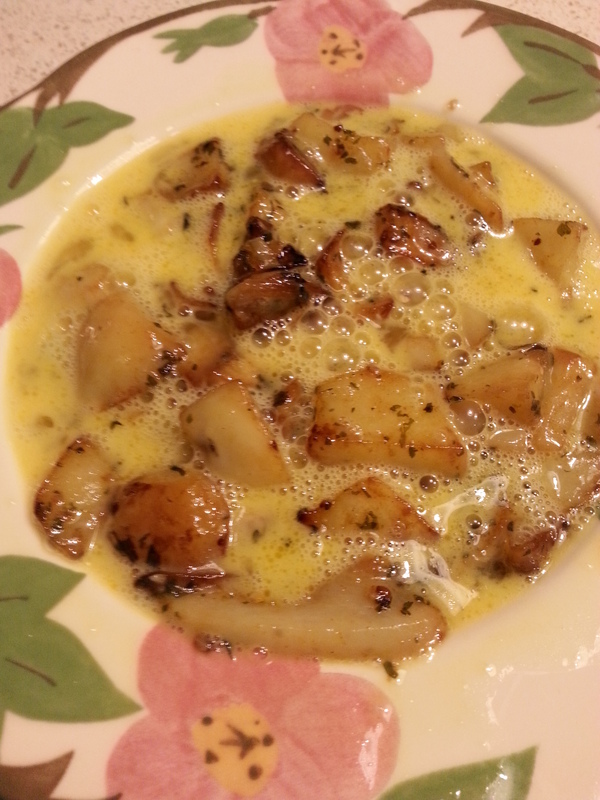 If you do not have any left over fried potatoes, use my Garlic Fried Potatoes recipe and make yourself some. I promised you won’t regret it! In a small frying pan, add your leftover potatoes and reheat. Since I am using my leftover Garlic Fried Potatoes, there is no need for me to add any additional seasoning. 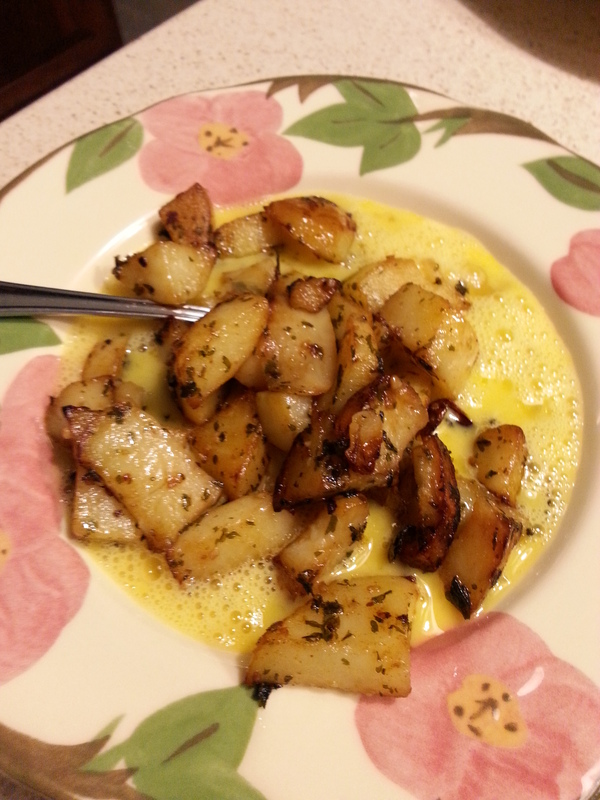 While your potatoes are reheating, scramble your two eggs in a medium bowl. Once your potatoes are heated all the way through add them to your scrambled eggs and stir. Spray your frying pan and pour your potato and egg mixture in. Heat on low, to allow the eggs slowly cook through to center. As the egg slowly cooks, use a rubber spatula to lift the tortilla from the frying pan. When it seems your eggs are cooked through to the center you will need to flip your tortilla over. I personally gently slide my tortilla on to a plate and place the frying pan upside down on top of my plate. I then carefully flip it back over so that the uncooked side of the tortilla can now finish cooking. Since the egg is cooked through to the center, or more, this is not a messy step. Cook for a few minutes and slide out of your frying pan on to your plate. Now you are ready to top with sour cream and shredded cheese. Optional things to add in to your scrambled egg mixture: cooked bacon, peppers, mushrooms, and sausage. If you are going to add any of the above ingredients, be sure to add them in during step three. If you are using any type of meat product, be sure you have fully cooked it to the required temperature before adding to your potato and egg mix.